savings smaller and a home happier. I count it a wonderful privilege to create this quilt for a great friend. A first grandchild is something to be celebrated – maybe even with a custom quilt. 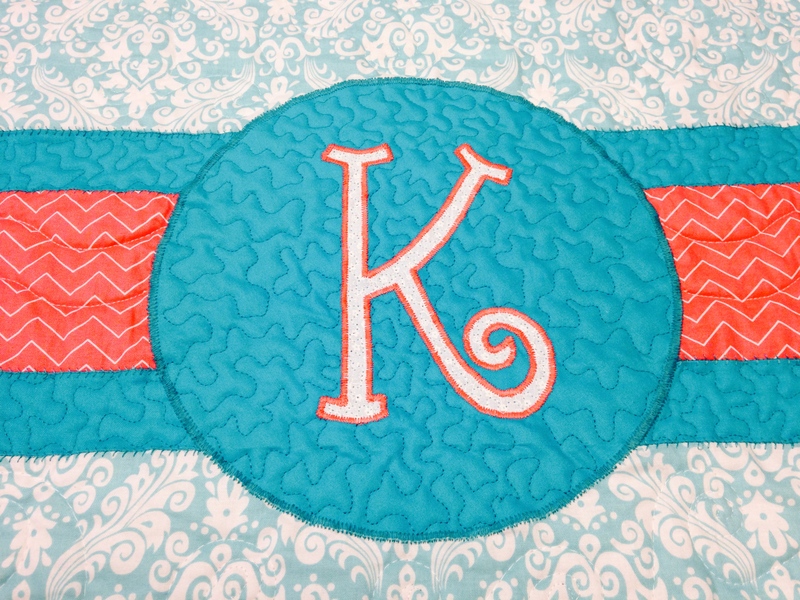 The K is for Kinsey – a beautiful name for a beautiful baby!! Many thanks to Mark and Judy and congratulations on becoming new grandparents! !